The travel and tourism industry is without a doubt one of the world’s largest industries. It creates jobs, drives exports, and generates prosperity across the globe. According to statistics from the World Travel & Tourism Council (WTTC), this industry is shown to account for 10.4% of the global GDP and 313 million jobs, or 9.9% of total employment, in 2017. One of the biggest rises in popularity, in terms of travel, is the emergence of homestays and vacation houses. They have developed into genuine alternatives to hotels, especially for those travelling in large numbers. As a matter of fact, most homestays nowadays provide just as much comfort towards their guests as reputable hotels. Furthermore, services as Airbnb and Homestay.com make it easier for locals to turn their residences into a homestay. If you’ve never stayed in one before, maybe it’s time to consider this option for your next getaway. 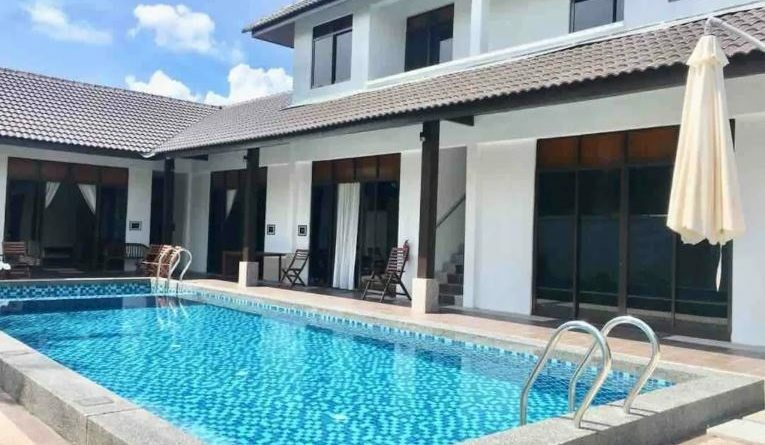 Here are 6 splendid homestays and villas in Malaysia that can give hotels a run for their money. 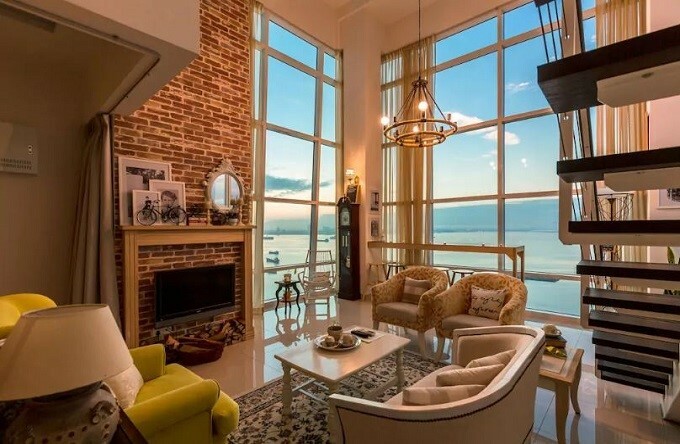 If you want a holiday with a view to die for, then the Panoramic Seaview Cottage in Georgetown, Penang is the place to be! The living room is surrounded by a 180° high glass window overlooking crystal blue seas. The premise is also equipped with gorgeous interior design, super high ceiling, and fully functional kitchen. This luxurious duplex apartment can accommodate around 7 guests, with cost per night ranging from RM260 to RM330. Check out this place on Airbnb. As we mentioned earlier, one of the advantages of homestays compared to hotels is they offer much more camaraderie when you travel in a large group. 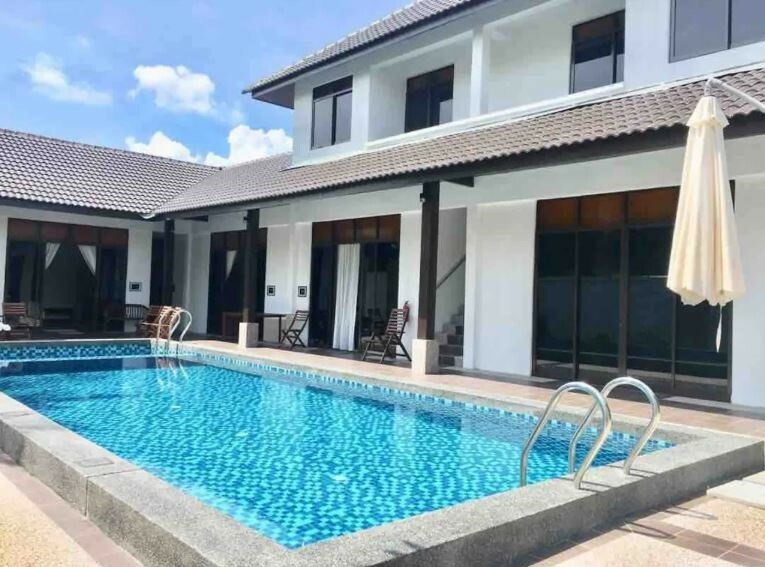 The Langkawi Chenang Private Residence can accommodate up to 16 guests and even offers access to a 30ft swimming pool and a 6ft kids pool. This perfect way to spend time with the rest of the family! Expect to pay something in the range of RM1500 per night here. 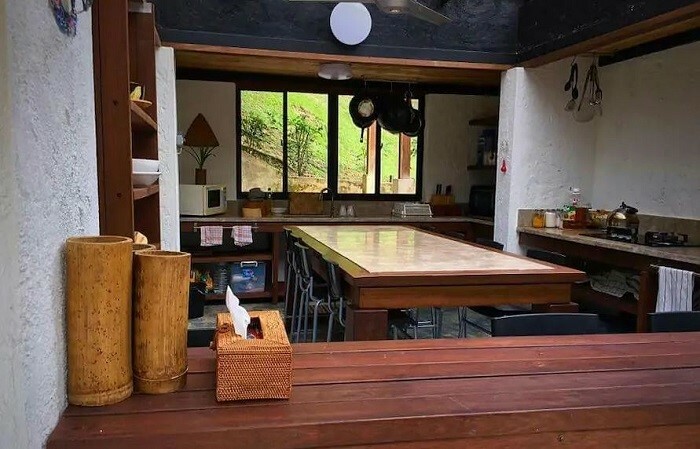 Check this place on Airbnb. 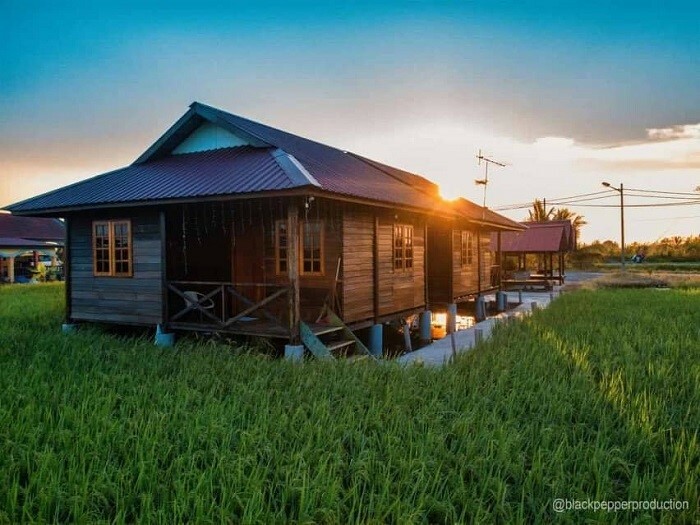 For those of you who are on a budget and would like to stay at kampong (village) setting surrounded by paddy fields, this is a good option for you. Sungai Haji Dorani in Sungai Besar is a two-hour drive from Kuala Lumpur with a mainly ethnic Javanese population. Expect to see unique cultural performances in the area such as kuda kepang, barongan, gamelan, and wau (traditional kite) flying. The food, too, reflects the customs and traditions of the Javanese. Prices are around RM150 per night. This is a holiday vacation spot for nature lovers. It is set amidst a farm setting surrounded by rubber and palm oil plantations, colourful water lilies in serene ponds and orchards of various fruit trees with plentiful green. There are plenty of activities you can opt for here such as swimming, jogging, kayaking, barbeque, karaoke, fishing, petting with various animals and many more. Prices start from RM88 per night (twin bedroom) to RM1,090 per night (9 room villa). Located around 7 km from Air Keroh, Malacca, Masbro Village Boutique Homestay offers you a place to stay with unique architecture. 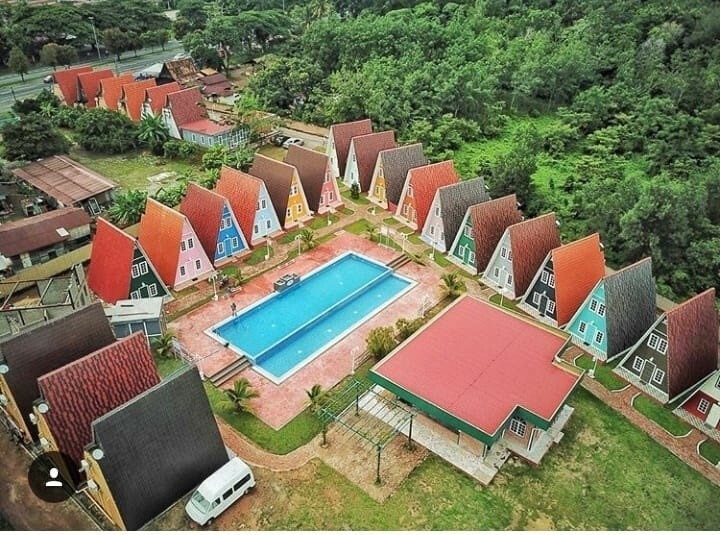 Each of the triangular houses here is equipped with fully-functional kitchens and an outdoor swimming pool for both adults and children. 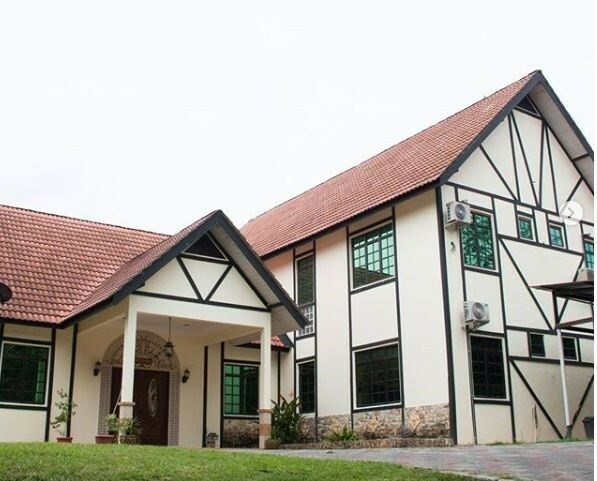 This homestay is able to accommodate up to 6 guests per house, and the price starts at RM280 per night. Located near the Semungkis River just a few kilometres away from Kuala Lumpur, RumaKebun is an ideal getaway for families and close friends. With four bedrooms and 11 beds, it can accommodate up to 16 people. There is also a plunge pool which is fed by natural spring water. Rates start at RM1500 per night. It will be worthwhile to note here that there are certain credit cards in Malaysia that help you maximise the value of your online spends. Take for example the Standard Chartered JustOne Platinum Mastercard (full review here) that gives 15% cashback on online shopping, petrol purchases and auto bill payments (capped at RM85 per month) when your total monthly balance exceeds RM2,500. Or the Alliance Bank You:nique Rebates Card (full review here) that gives 3% unlimited cashback on all retail transactions when your total monthly balance falls between RM2,001 and RM3,000. Plus, you get to use your favourite photograph as the credit card cover image! Do check our top credit card picks when it comes to online shopping, entertainment spendsand 0% easy payment plans to make your big purchases more affordable.